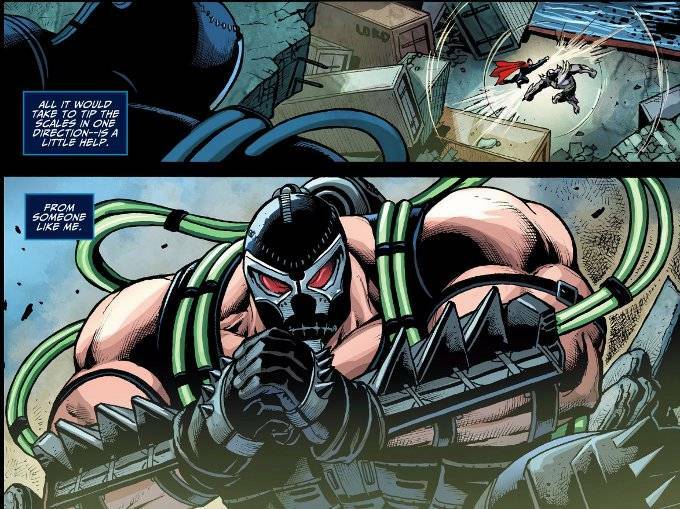 Superman receives some unexpected help in his fight against Doomsday from the criminal mastermind known as Bane. It seems The Man Who Broke The Bat wishes to prove his worth to The Man of Steel and proposes an alliance to deal with their mutual enemy. 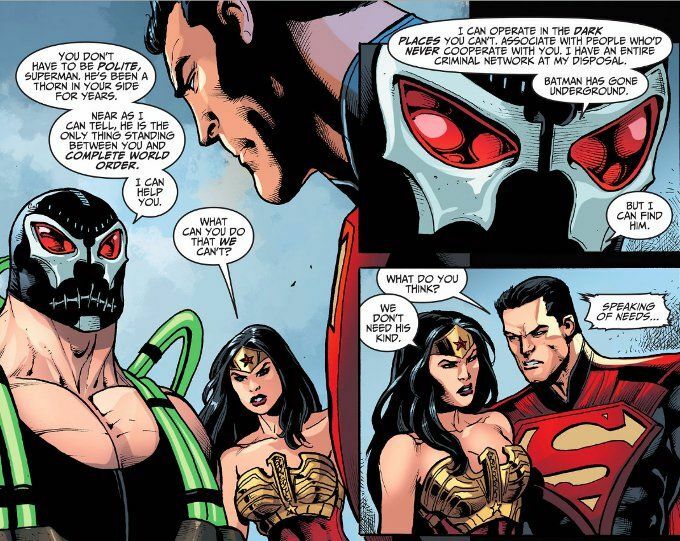 It is an offer Superman has little time to consider, however, because The Parasite is also on the loose and about to destroy Hal Jordan and Cyborg! This issue will probably be the one that marks the turning point for Injustice. Both as the moment when Superman passed the point of no redemption and the point where the series itself became more focused on serious drama with little comedic contrast. In any case, while there's little of the humor that has made this series a fan favorite in this chapter, Brian Buccellato's writing remains as strong as ever. The artwork this time around proves serviceable but not quite outstanding. Tom Derenick's inks are a little too heavy at times, though his character designs as well as his command of visual storytelling and panel placement remain excellent. And Rex Lokus' colors are as well-chosen and as skillfully applied as ever.